San Miguel Island is the most mysterious of all the eight Channel Islands. When not shrouded in clouds and fog and buffeted by strong bone-chilling prevailing northwest winds, Miguel appears like not much more than a sandy hump from a distance, quite stark in appearance. 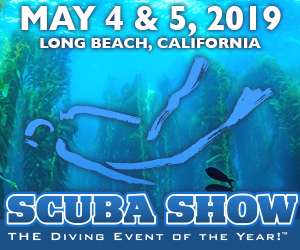 Underwater is a whole other story…Beneath the thick kelp canopies are bright colors to dazzle the eyes and keep cameras clicking. The furthest west of all the Channel Islands, it is brushed by much colder currents than its cousin islands to the east and south. Much of the underwater environment and animals look more like what you would find along California’s central coast. For those used to the fun diving of the other Channel Islands, San Miguel offers a much different but equally exciting flavor. Being outer wilderness and battered by the prevailing weather can make diving here limited. Leave reaching this island to all but the most experienced skippers–preferably professional dive charter boat captains. Because of the winds most will anchor on the south side of the island where there is protection from the seas and there is a cornucopia of delightful and exiting dive sites. One of the best is Judith Reef. Judith Reef, about a quarter mile offshore from the island, tops out at 55 feet, stair steps to 70 and then drops precipitously in a wall to over 100 feet. Abundant marine life covers the rock faces, wedged into ledges, canyons, gashes, and overhangs and cruise around it all. Rockfish are especially abundant, big and fat. Copper rockfish seem especially cooperative for the camera. A bit more illusive is the bright red vermillion rockfish. And above schools of blue rockfish swirl about. Judith Reef falls within a marine preserve so the fish are especially easy to approach for photos. Sheephead are also big and sassy and in the deeper sections look for the lingcod, some quite large. Decorating the reef itself are colorful cobalt, sculpture and red volcano sponges. Various dorid nudibrachs can be often found feeding on the sponges. Corynactis anemones give the illusion of warmth to the reef with a patchwork of red, pink and lavender. Some rock faces are blanketed with fuzzy white carpets of small metridium anemones. Additional anemones here include a prolific amount of white spotted rose anemones and the huge fish-eating urticina anemone with its distinctive deep red trunk and richly and intricately colored tentacle area. San Miguel Island has abundant mystery and adventure for every taste. There are many other dive spots just in the area around Judith Reef. 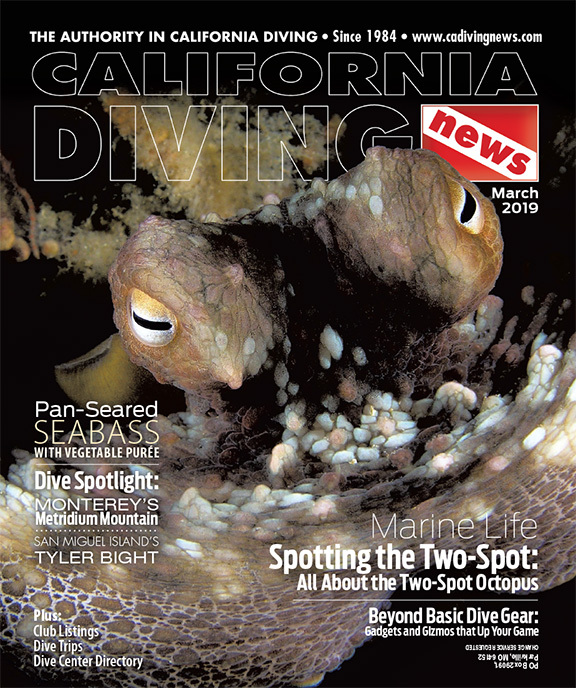 Book a trip to San Miguel and enjoy California diving wilderness at its best. 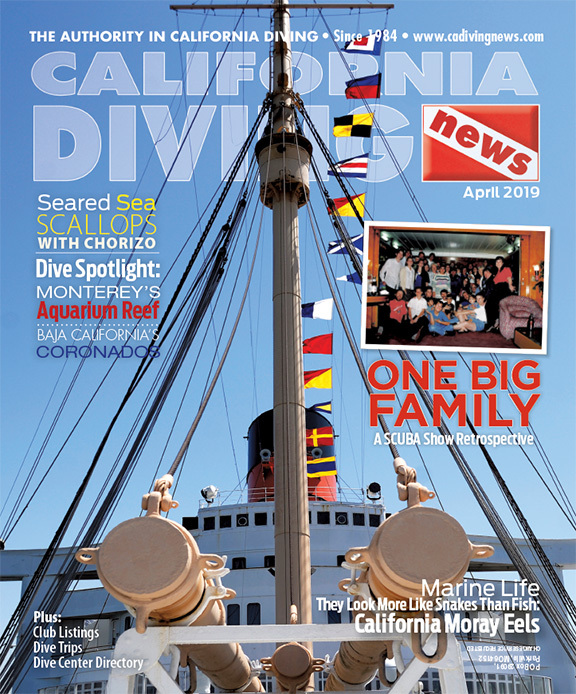 Special thanks to the dive boat Peace for assistance in creating this article. Location: On the south side of the western end of the San Miguel Island. GPS N34°01.179′, W120°25.555′. Access: Boat only. Experienced skippers or professional dive charter boat operators strongly suggested. Depths: 55 to over 100 feet. Skill Level: Intermediate or better due to sharp drop to deep cold waters. Photography: Excellent fish photo opportunities with plenty to keep the macro aficionado busy as well. Hazards: Sharp drop to deep waters. 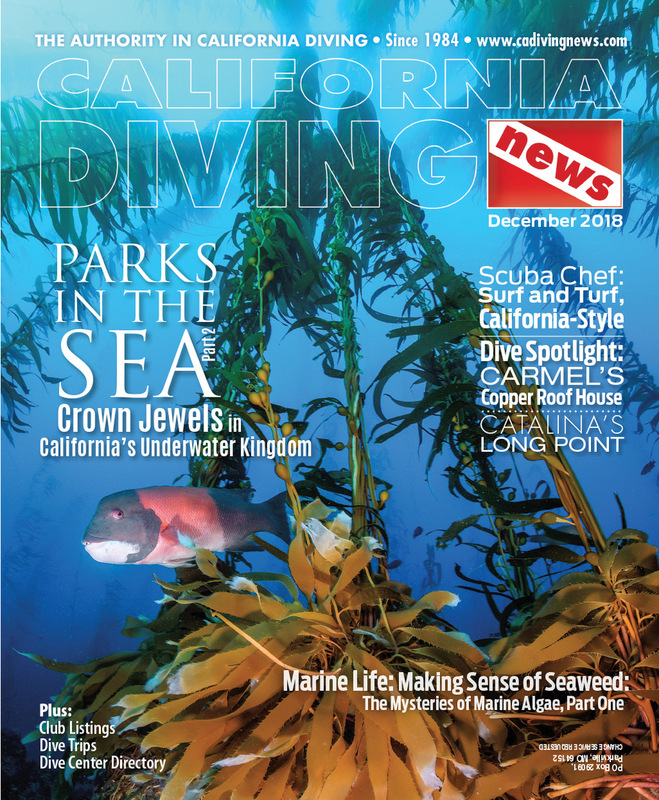 or see the California Scuba Calendar section of this issue for trips to San Miguel Island.